Our mini sample kits are designed to help our resellers close sales, upsell products, and put a tactile experience in their client’s hands. 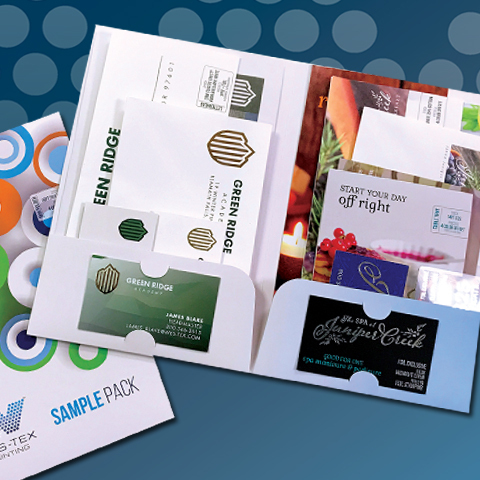 Each sample kit contains marketing collateral for two distinctive brands, including samples for business cards, postcards, stationery, door hangers, and envelopes. The kit showcases our top stocks, and print processes- such as hot foil stamping, thermography, silk laminate, UV coating, 4-color offset, and 4-color digital printing.